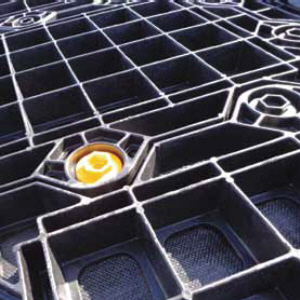 • GEOTERRA® Mats are extremely strong, lightweight and economical for use over soft subgrades. • GEORUNNER® Turf Protection Mats and GEORUNNER® Scour Protection Mats protect turf from concentrated pedestrian traffic or lightweight construction vehicles and equipment. They are also ideal for scour protection applications.